Having Trouble reading this email? Open the newsletter in a web browser. The High Chaparral Back on Cable TV! 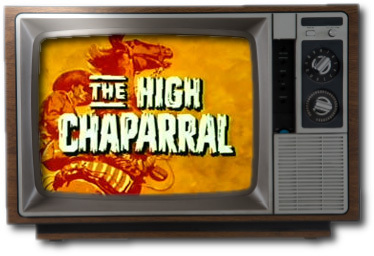 By exclusive arrangement with INSP cable network, The High Chaparral Newsletter readers are the first to receive the announcement - The High Chaparral is back on cable TV beginning September 15th! INSP is carried by DirectTV, Dish Network, Comcast, and many other providers. To check availability in your area, visit the Find INSP page. Enjoy the official news release below - Fans of The High Chaparral send a huge thank you to INSP and CBS for putting our favorite western back on television. The show launches with an all-day marathon on Saturday, September 15th. 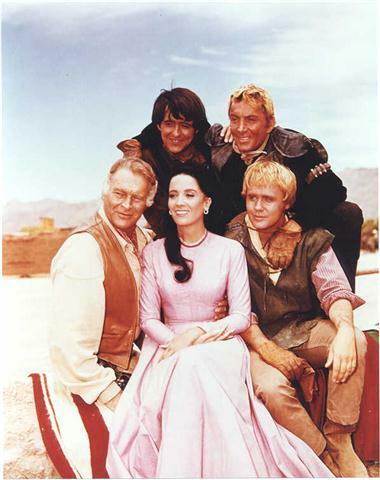 Indian Land, SC – INSP has acquired the exclusive cable rights to The High Chaparral from CBS Television Distribution. The acquisition was announced today by Doug Butts, SVP Programming. Henry Darrow, beloved star who played Manolito Montoya, couldn’t agree more. First aired on September 10, 1967, The High Chaparral featured the life and struggles of the Cannon and Montoya families in Arizona Territory during the 1870s. Under the direction of David Dortort, the creator of the project (and the genius behind such classics as Bonanza), the producers of this series were committed to realism and went to unusual lengths to depict actual conditions of the West. Even the Apaches who worked as extras on the set were real. In many ways ahead of its time, the program explored culture and class conflicts among Caucasians, Hispanics, and Native American tribes to an unprecedented level. As the exclusive cable home of this and other western series, INSP is proud to offer a new generation of Americans the opportunity to fall in love with the characters and stories that made The High Chaparral a western classic. Launching on September 15th, viewers can enjoy an all-day marathon beginning at 1:00pm ET. The series joins the Saddle Up Saturday line-up beginning September 29th and also is scheduled to air in the Monday-Friday lineup. INSP is available in more than 70 million households across the U.S. on more than 2,800 cable systems and on Dish Network channel 269, DirecTV channel 364, AT&T U-verse channel 564 and Verizon FiOs channel 242. Viewers can check their local program guides for channel information or visit www.insp.com. The Inspiration Networks family of networks includes INSP, Halogen TV, LFC-La Familia Cosmovision, and INI-Inspiration Network International. The Inspiration Networks also operate “Halogen On Demand,” for national television video on demand (VOD) delivery. Is it easier for you to budget payments to pay for the Reunion? Register now at the Early Bird rate of $255 by paying a minimum down payment and then make regular $50 payments online through the Reunion website. There are no finance or interest charges - and by reserving now you still take advantage of the special early discount rate. The Early Bird rate is only $255 for the weekend - reserve your space at The High Chaparral Reunion 2013 now and save! Don't miss your chance to SAVE - the early Bird Discount Rate of $255 expires on 8/31. That means you only have a few more days to save big off the regular reunion rate of $350. Just think of all the things you can do with that extra money......go shopping for Western souveniers in Tucson....have an authentic southwestern dinner....take a trail ride horseback at Old Tucson. Whatever you decide, make the most of your money AND fun by registering for the Reunion today. Remember if you want your own copy of The High Chaparral, you can order Season One of The High Chaparral from The High Chaparral Reunion! Sponsorship with Season I DVD set is $165.00 USD, plus shipping. DVD set only is $65.00. For more information visit The High Chaparral Reunion website. on The High Chaparral Newsletter Web site. Want to unsubscribe from the Newsletter? Just click here! Copyright (C) 2009 High Chaparral Newsletter All rights reserved.